Before a new version of iOS is released by Apple to the public, it goes through several betas, in which developers get the chance to download, assess, and note of any significant bugs or issues. 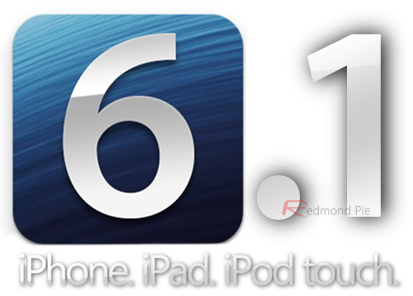 This system attempts to ensure the end-user release is as smooth as possible, and while many of you will have been using iOS 6.x, work has been going on behind the scenes to prepare iOS 6.1. Today, a new Beta 5 build is now ready for download for developers only. Every software release, whether it be specific to iOS, Android, Windows Phone or whatever, tends to come with a measure of caveats. Although – barring the obvious exception of Apple Maps – iOS 6 has been a fairly incident-free affair, there is still plenty of room for improvement, and that is the rationale behind releasing iOS 6.1 so soon. The improvement of Maps is an ongoing thing, so it goes without saying that, when iOS 6.1 finally becomes ready via OTA for public use, the stock navigation app will be much improved on what’s currently available. But the Cupertino company has plenty of other tricks up its sleeve, with notable improvements to Siri, Passbook, and the usual deluge of bug fixes. iOS 6.1 Beta 5 can only be downloaded by registered developers at the moment, but with so many betas behind us now, it’s only a matter of time before a final public release is available for everybody to download. If you don’t want to wait, and are generally intrigued by beta releases of Apple software, I strongly advise you to sign up to the Developer program. It costs $99 per year, and gives you access not only to iOS software, but OS X, iTunes and more. So, those of you who are indeed part of the program, head over to the iOS Dev Center and grab the latest version. 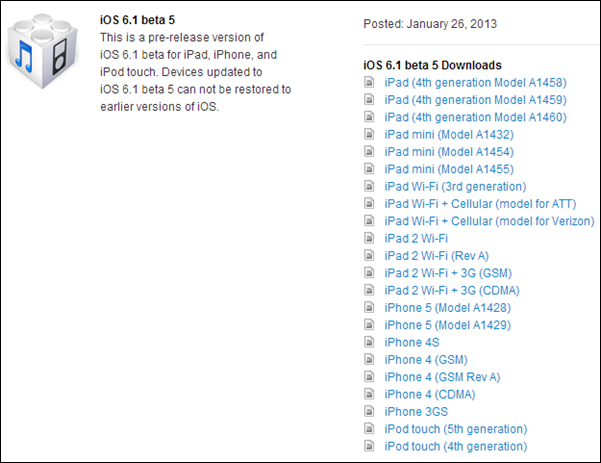 Beta 4 of iOS 6.1 is set to expire on January 28th, so its important to update to Beta 5 now. We will, of course, notify you guys as soon as the GM or final version is ready for your downloading pleasure, so make sure you stay tuned to our coverage here at Redmond Pie!